Investing money is undeniably crucial for financial development. Investment aid in saving and give better returns in the future. You do not need to have a lot of money to start investing. Even a little goes a long way in securing your future goals. Investments are a safe and sustainable way to grow your money; and the sooner you start investing, the better it is. Even teenagers can start investing, and you will be shocked as to how even a meagre amount can pile up with the interest rate to secure your goals. Many people who are interested in investing don’t do so because they do not know how to begin. If you are one amongst them or are a newbie in the world of investment, sit back and let this blog guide you through on how to triple your money. What is my present financial situation? Analyse all the answers and choose an investment option that will suit them the best. This is the most important point which many investors ignore. It is highly beneficial to diversify your portfolio. This means that you need to divide your assets among numerous asset categories such as stocks, real estate, bonds, cash, and other alternative investments. Allocating your asset in multiple places ensures that when the value of one goes down, others don’t let you down. Diversify your portfolio can thus minimize risk s associated with the investment. But keep in mind that you need to allocate your assets only in the finance strategies which are right for you. As tedious as it may sound, defining your budget can help you channelize your cash. You can get a clear view of where you employ your money, and this knowledge can be instrumental in changing your spending habits for the better. This can as simple as using a pen and a paper to start defining your budget. You can even use a spreadsheet for the same. If you want to take a major load off your shoulder, you can use the free online services and software which aids in defining your budget. There are only a few survivors that survive the circle of debts. You must get rid of the customer debts if you have any as it is an investment in itself. Most of the debts revolve around paying off the credit cards. While a few debts such as a home loan is not bad, many (such as credit cards debts) are exceedingly harmful to your finance. Taking a loan to buy a house might turn out to be good as you can use the plot for rental income. On the other hand, credit card debts are bad and paying it off frees up your cash flow in addition to reducing the risks associated with it. Investments expenses can take a massive portion out of your returns. Make sure that expenses such as fees don’t rip you off. These expenses can come in the form of mutual fund loads. Account maintenance, so on and so forth. You can switch to products that have fewer fees or are fee-free. There is a vast competition in the world of stockbrokers due to which some brokerages have slashed their fees to even zero! 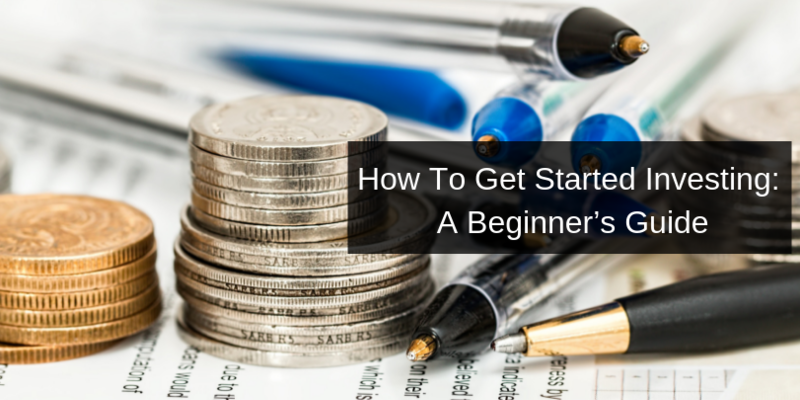 These steps will help you significantly to get started with investment. Higher the investment more will be the returns. But this shouldn’t hinder your thoughts of investing small amounts. Do not wait for the right time to start investing as the right time is now! Choosing the right investment strategy can help you get a good profit on investments.